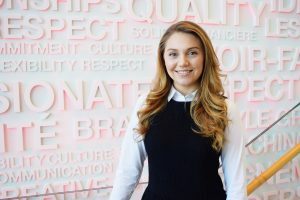 For this week’s edition of our Student Spotlight, Lauren Zvaniga, a 2nd-year Corporate Residency MBA student from Mississauga, Ontario, shares her experience on the Toronto Connects Tour that took place last month and also offers some advice to current students about networking and meeting with employers. 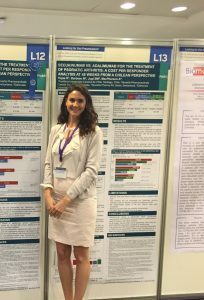 Lauren’s focus for her CRMBA has been in marketing, with a keen interest in the creative aspect of the profession, due to her undergraduate degree in Theatre. Lauren completed her residency with BMO Financial Group in Toronto as a Marketing Coordinator in their Credit Card Lifecycle division. During her time there, she realized that a career in Marketing was the right fit for her. Looking ahead to post-grad employment, she has accepted an offer to return to BMO as a full-time employee, beginning in June. Nonetheless, Lauren still wants to continue learning about other career options, which is where the Toronto Connects Tour came in. 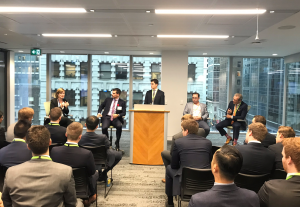 The Toronto Connects Tour is a career development event for 2nd-year CRMBA students that includes a networking luncheon with the MBA program’s Board of Advisors, an alumni discussion panel, and a networking reception with MBA alumni and employers. In addition, the students on the Tour are required to coordinate at least 3 one-on-one informational interviews that align with their career goals and do a reflective practice on their experience afterward. Lauren decided to book informational interviews that would help her understand what it’s like to work in procurement as well as what it’s like to work at an advertising agency. She met with the Director of Procurement at HelloFresh, the Director of Planning at Jungle Media (“I told her about my dream to work in marketing at IKEA and as it turns out, IKEA has been her client for many years!”), and a former colleague from Loyalty One, a Client Marketing Specialist. These meetings were made possible by tapping into both her personal and professional network. The biggest challenge that she faced in arranging the meetings was trying to get to each one on time since they were so spread out across the city. Regardless of her scheduling challenges, Lauren found each meeting to be incredibly valuable and informative about the career paths she was most curious about. Planning out a calendar is important, but also draw it out on a map! Wear a watch – you won’t want to take out your phone to check the time because it can be rude. Think of what you really want to learn from this person before you meet with them – you’ll ask better questions and get better answers. Even if you have a job lined up, take advantage of an opportunity to grow your network! Remember that you’re not “just a student right now”, you are an ambitious, curious, passionate young professional and everyone that agreed to meet with you wants to meet with you. Regardless of your short and long term career goals, arranging informational interviews can provide key insights to help you achieve them. Don’t wait for the next networking opportunity to present itself – create the opportunity for yourself like Lauren did. Ask your Career and Recruitment Specialist for tips on how to incorporate informational interviews into your job search or career development strategy. 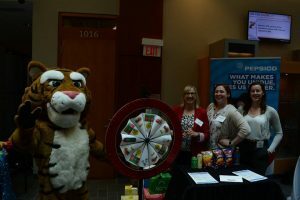 Wednesday, March 21st saw the Dalhousie Top Co-op Awards take place during National Co-op & Work-Integrated Learning Week. The event is a joint collaboration between Dalhousie’s Management Career Services, Science, Information Technology, Engineering Co-operative Education and the Faculty of Architecture and Planning, and while in only it’s second year, the co-op award history at Dalhousie extends back to 2004. As nominated by their employer. Nominated by Kasian Architecture Interior Design and Planning Ltd. Presented to ten industry categories based on student nominations. Sarah Jeffers, Citco Canada Inc.
Rebecca Paruch, Nova Scotia Power Inc.
Recognizing employers new to Dalhousie’s Co-op programs within the past three years. Finalists: CarteNav Solutions Inc. and Metamaterial Technologies Inc.
Recognizing employers who have been active and supportive in Dalhousie’s Co-op programs for a minimum of five years. 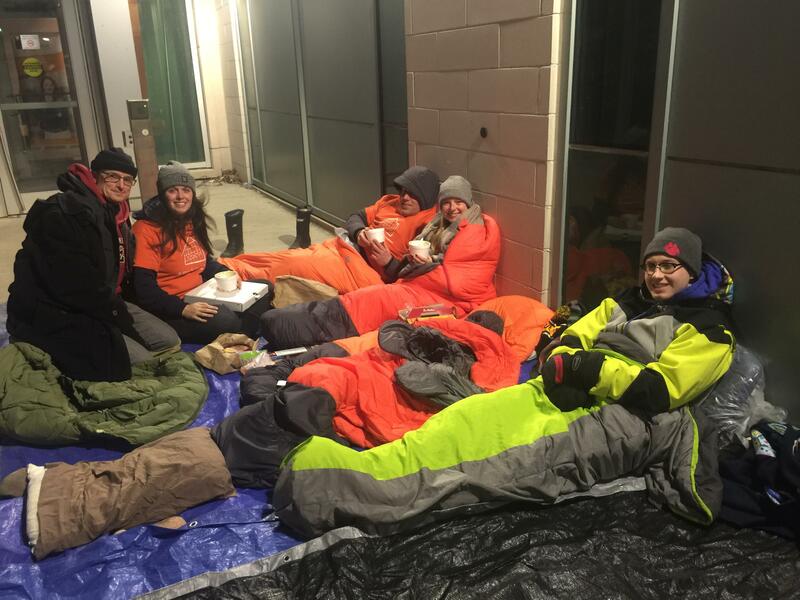 The Dalhousie Commerce Society has participated in the 5 Days for the Homeless campaign for the past five years. Students volunteer to spend 5 days/nights outside the Rowe Building while only consuming food and drink that has been donated to them. 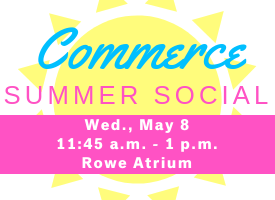 The Commerce Society has set a fundraising goal of $25,000 and this year’s participants are as motivated as ever. Alexandra Erb is participating in the 5 Days for the Homeless campaign as a ‘guest sleeper’, meaning she will spend a night sleeping outside the Rowe Building. 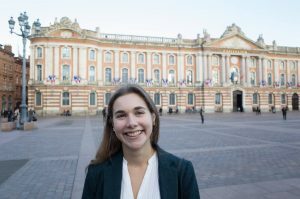 This is Alexandra’s first time participating in the campaign, but she has had the opportunity to see how powerful campaigns like 5 Days for the Homeless can be through her four years of involvement with the Commerce Society’s community initiatives. She hopes this campaign will act as an “eye opener” to students who may have lost sight of the support system and privilege that Dalhousie has. Breanna Buhler is participating as a ‘core sleeper’, meaning she will spend five nights sleeping outside the Rowe Building. 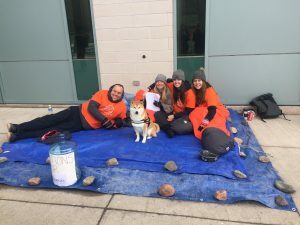 Breanna is participating in the 5 Days for the Homeless campaign for the second time, she originally decided to participate after seeing the students outside the Rowe Building and across the country during her first two years at Dalhousie. Katie Flanagan is President of the Dalhousie Commerce Society and is participating in the 5 Days for the Homeless campaign for the fifth year in a row as a ‘core sleeper’. Katie believes the biggest benefit to participating is raising awareness for a great cause saying, “by having people drop by we are able to help spread awareness for all the wonderful things Phoenix does”. As a fifth time participant Katie has been passionate about this program for awhile. She believes this fundraiser helps put things into perspective. When asked about the challenge of managing classes while participating in this campaign, Katie talked about how some people do this everyday and how she hopes the 5 Days for the Homeless campaign can raise awareness and funds to help those people. Participating in the 5 Days for the Homeless campaign requires incredible strength and dedication; however, participants say it is worth it to help raise awareness and funds for a fantastic cause. It is because of the dedication of students like Alexandra, Breanna and Katie that Dalhousie has been extremely successful in awareness and funds totalling $25,000 over the past 5 Days for the Homeless campaigns. For more information on the campaign, a list of all participants or to donate click here or visit the students outside the Rowe Building until Friday March 16th at 12:00 pm. We are offering our v alued employers the chance to be participate in this exclusive student engagement event. To take advantage of this one-of-a-kind opportunity, MCS is seeking employers who are interested in engaging with Fall 2019 work term candidates and would like to promote their brand on campus and talk about their upcoming co-op opportunities. Your contribution will be recognized before, during, and after the event in various ways including booth space, your brand on promotional marketing, event coverage, and more. Capacity is limited, so act fast to confirm your interest before April 5th, 2019. Please contact Aidan at mcscoop3@dal.ca or call 902-494-1515 for more information. Do not miss this unique opportunity to network with these eager and talented young professionals. Check out our Facebook event here! Marlo Hayden-Luck is currently a third year Bachelor of Commerce student with a major in International Business. 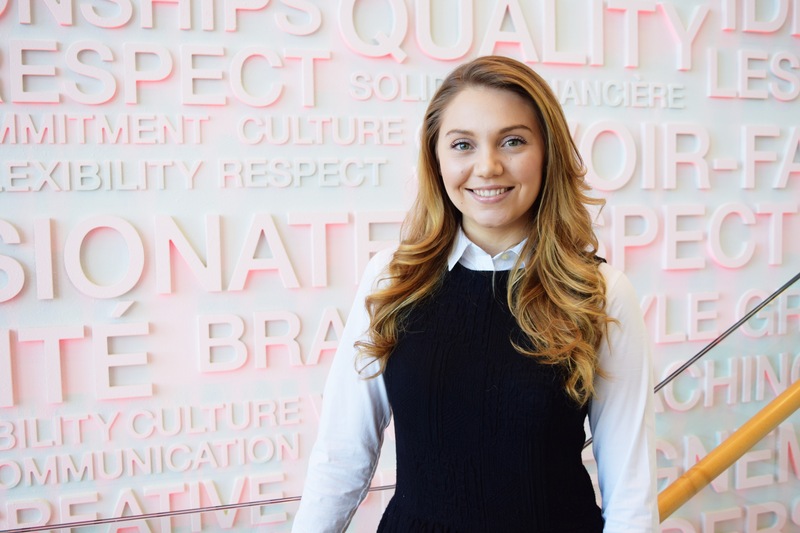 Marlo was on the marketing stream of the 2016 Toronto corporate tour and was able to connect with her future employers at a company visit. 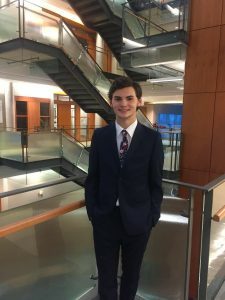 When asked if she would recommend the Toronto Corporate Tour to another student Marlo said she, “would absolutely recommend the Corporate Tour to anyone who wants to get an inside look at the possible companies they could work for in the future and learn a bit more about what is out their career wise”. Phill Stanley is an alumnus of the Bachelor of Commerce program. He graduated from Dalhousie in 2014 with a major in Marketing Management. 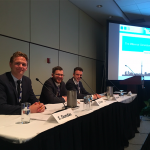 Phill first heard of DHL at an information session they hosted at Dalhousie in the spring of 2014. After he attended the information session and he was asked to interview for an Operations Supervisor role. After additional interviews, he was offered the role based in Langley, British Columbia. Phill describes his experience with DHL as very positive. After starting as an Operations Supervisor in Langley, BC where he helped provide third party logistics services for Overwaitea Foods, he was given the opportunity to move to Calgary and start up a new distribution center for Cabela’s Canada. Working with Cabela’s, Phill has been exposed to many different aspects of their supply chain operations, from inbound procurement, to inventory management, and outbound order fulfilment. Phill’s role further expanded to involve managing highly regulated firearms and dangerous goods such as ammunition, primers, and powders. Phill says he became more involved with systems testing and continuous improvement. This eventually led him to his current role of Systems Manager where Phill is now responsible for all IT aspects of the distribution center, including systems integration, IT project management, and process improvement. 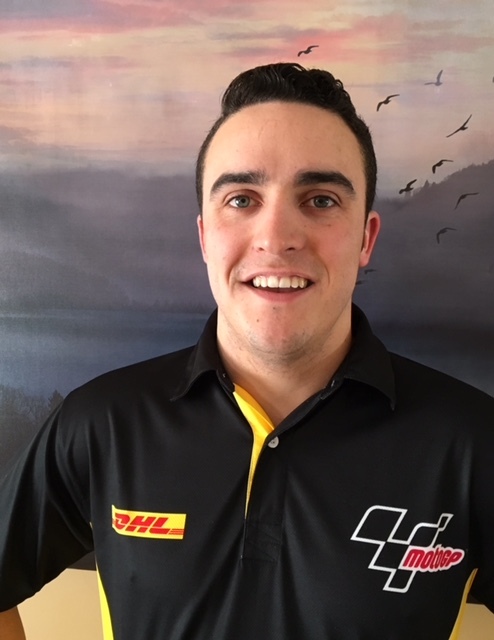 When asked if he would recommend a career with DHL to current students Phill said he would and that, “DHL is growing rapidly and the amount of opportunities available within our company are increasing. Most people do not realize how much of a role DHL plays in our daily lives. Some of our clients include Shopper’s Drug Mart, Shell, Smuckers, P&G, and Nike. We continue to see a trend in companies outsourcing their supply chain operations to third party logistics specialists such as DHL and this will only increase with the trend towards E-commerce. A career with DHL will provide you with the foundation of skills needed to compete in today’s modern logistics industry and give you an opportunity to advance your career quickly”. Phill says the greatest benefit of working with DHL is getting to work with a company that is the largest in the logistics industry with global connections and opportunities in all areas of business. “Whether you are in accounting, finance, marketing, or engineering, DHL can provide you with a career in all of these areas. 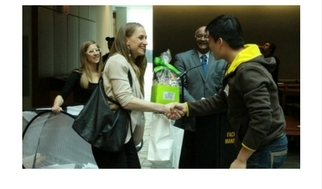 DHL has already given me the opportunity to work across North America and there are many opportunities abroad. If you are a highly motivated, flexible, individual looking to advance your career, DHL can provide you with the opportunity to achieve this”. DHL is hosting an information session on February 8th at 6pm in the Rowe Building. Register now on myCareer. Max went on to say he, “would recommend the Toronto Corporate Tour 100%” because he felt that getting an inside look at various companies gives students a better idea of what type of company they might want to work for in their co-op terms and in their career. For more information on the Toronto Corporate Tour attend the information session on January 25th or go to dal.ca/mcs/corporatetours. There was one thing in common among the over 140 organizations and their representatives that came together on March 22nd. 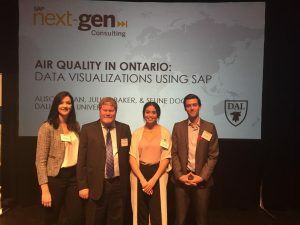 They all believed in leveraging the skills and fresh knowledge of Dalhousie co-op students to advance projects, support business growth, and identify talent for future recruitment needs. Dalhousie University honoured its top co-op employers and students at the inaugural Dalhousie Top Co-op Awards and Appreciation Reception, held during National Co-op Week 2017. 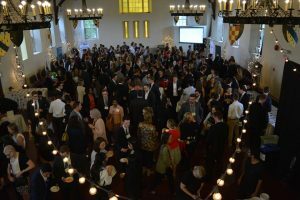 Award finalists represented diverse industry sectors and included small-to-medium size enterprises as well as large multinationals, all demonstrating the motivation, enthusiasm and passion it takes to make co-op experiences inspiring ones. 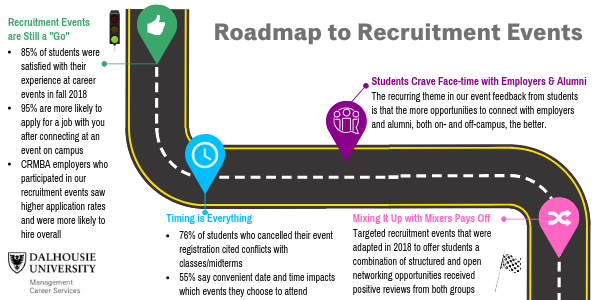 The event was a collaboration between Management Career Services, Science, Information Technology and Engineering Co-op Office, and Architecture and Planning Career Services. 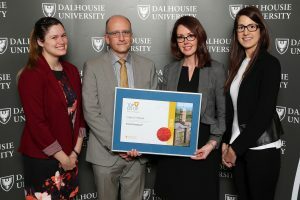 “Together with our committed and supportive employer partners, we are able to foster experiential learning, enhance student-employer engagement, and serve the business community on a regional, national and international level,” said Anna Cranston, Director of Dalhousie’s Management Career Services. 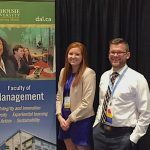 “In 2016, over 1960 work terms across five faculties and 26 disciplines were completed by Dalhousie co-op students in Canada and across the globe,” said Doug Gallant, Director of Dalhousie’s Science, Information Technology and Engineering Co-operative Education. 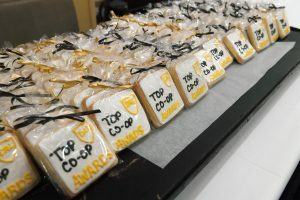 Top Co-op Employer Award finalists from nine major industry categories were all nominated by Dalhousie co-op students based on the quality of their co-op experience and the supervision they received from their employers. 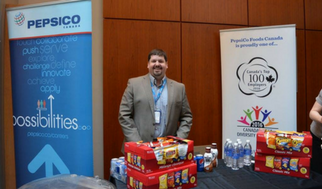 Nominations for the Emerging and the Legacy Employer categories were made by the staff of co-op offices based on the quality, quantity and diversity of their hiring practices and engagement with Dalhousie’s co-op offices. The complete list of award winners is shared below.